Local group is pleased to announce the merging of Trophy Fish Ltd., Orange Peel Group Inc., and TEG Consulting, all well-established Lethbridge, Alberta based businesses. The reformed team will rebrand to Epiphany Group, creating a unique private equity offering. This combined team has growing reach and depth of skill to undertake new projects and opportunities, while providing current businesses with additional support. 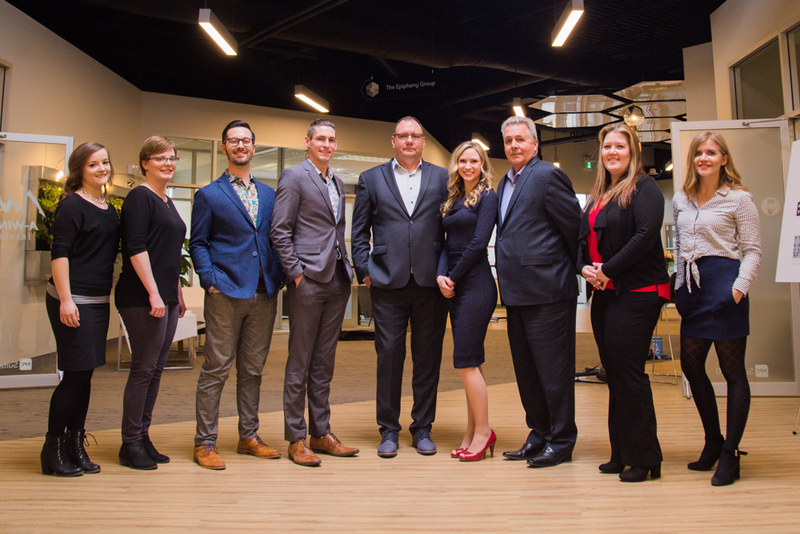 Stretching across 12 industries with over 175 team members, Epiphany Group ranks as one of Lethbridge’s largest private employers. Trophy Fish Ltd., directed by Darryl Kenna and Roger Simpson, was established in 2012 as an investment group to purchase and restructure companies for long term support and growth. They have established and funded investments in 7 sectors including real estate holdings. Orange Peel Group Inc., directed by Doug Mereska, Jeremy Roden, Kendal Hachkowski, and Matt Calnan, originated in 2009 as a real estate service office and has since diversified with holdings across 6 sectors. TEG Consulting, directed by Rick Ursel, Angie Nilsson, and Darryl Kenna, originated in 2015, catering to the business support and structure needs of top financial advisor teams across Canada. With over 200 members these proven systems and best practices focus on correctly organizing teams for success, regardless of the product offered. Epiphany Group is proud of its partnership companies and the excellent teams included in this reshaped group. They include; All In One Digital, Avison Young Lethbridge, A-WIN Insurance Lethbridge, Braemore Management, Coulee Brewing Co., Distilled Liquor Co., Dominion Lending Centers Mortgage Excellence, Dreaming Side Media, Epiphany Consulting, Hagen Electric, Lakeview Bakery, MEDIchair, and The Breeze. Partnership companies day-to day operations and personnel are not affected. They assist in the efforts to recruit, develop, and advance team members that show talent, grit, and team spirit. Along with internal development, relationships with our leading post-secondary institutions to create new opportunities for career advancement and keeping great talent here in Lethbridge will be key. Epiphany Group will purchase, partner, invest, and provide succession options for businesses in all stages of growth. The current service landscape lacks a business support system that fully aligns interests. We invest as owners, and because of this we assist in making better long-term decisions than fee-based teams. Supporting our ownership teams to lead their industries in strategy, structure, implementation of technology, and offering value as trusted advisors will deliver unmatched growth. The mandate for Epiphany Group is to provide a go-to solution for local and external investment capital (into the Lethbridge and Alberta regions) with on-the-ground expertise, a well-qualified team, and a true environment of business support for partner companies and projects. What makes Epiphany Group different is their use and exploration of new technology, their open and collaborative team, and quick advancement for talented and dedicated team members allowing fresh ideas and leadership to develop. Epiphany Group looks forward to connecting and collaborating with the community and its unique businesses in this fresh model of true partnership. They invite you to review their website at www.theepiphanygroup.com and connect with us on the following social channels.